I realised a long time ago that in the blogging world, I am a very small fish in a VERY big pond. There are many more and much better blogs than the one your reading now, but I don’t care bout them, I only care about my blog. I try to make sure I blog about things I want to talk about, not whats the social fad or most popular subject. However one popular aspect of blogging I have always wanted to get involved in is reviews. When I look at buying a new product, the first thing I do is type it into a search engine and see what experiences other people have had with it. If a product is more expensive than an other, but the reviews are more positive, then that’s the one we will choose. 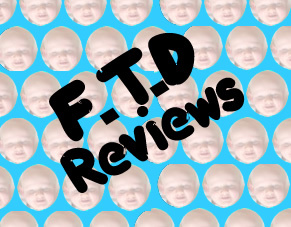 Hopefully I can be the review that helps somebody out there buy a great product. So, my dear readers, in the future your going to see reviews on my little corner of the Internet. You of course don’t have to read them but I hope you do. I’m going to start with products I have already bought as we all have to start somewhere and then hopefully I will be offered some products to review for you guys, my beloved readers. If there is anything in particular, you would like me to review, let me know and I will see what I can do. P.S. I have never done anything like this any more, so any pointers would be greatly appreciated either on the comments below or hit me up on twitter.